of Internet users access the Internet through their phones, 94% of American smartphone users search for local information on their phones, and 77% of mobile searches occur at places where desktop computers are available (according to the eMarketer Global Mobile Landscape 2015 report). 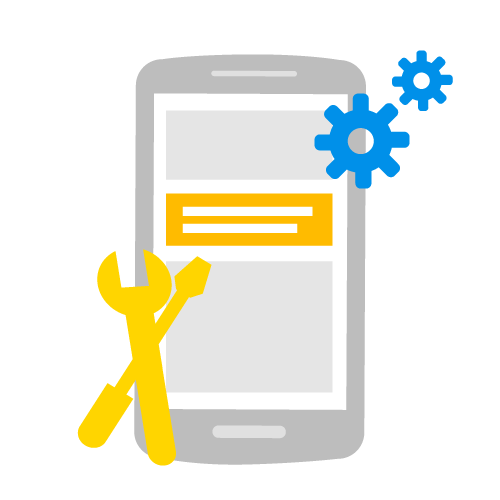 For publishers, this new reality means that your sites have to be mobile-friendly. It's the only way to offer your existing users a good mobile experience and to hold onto new users who are visiting your site for the first time. That said, a mobile-optimized site alone isn't enough to compete in the new multi-screen world. Optimizing performance for faster page loads and easier navigation will keep users coming back and drive your business forward in a competitive marketplace. Slow-loading sites, broken video players and redirects were among the top frustrations reported by 570 respondents in a recent Google poll when asked about their experience browsing the Web on mobile devices. Given the instant nature of mobile, the competition to capture the attention of users has intensified. 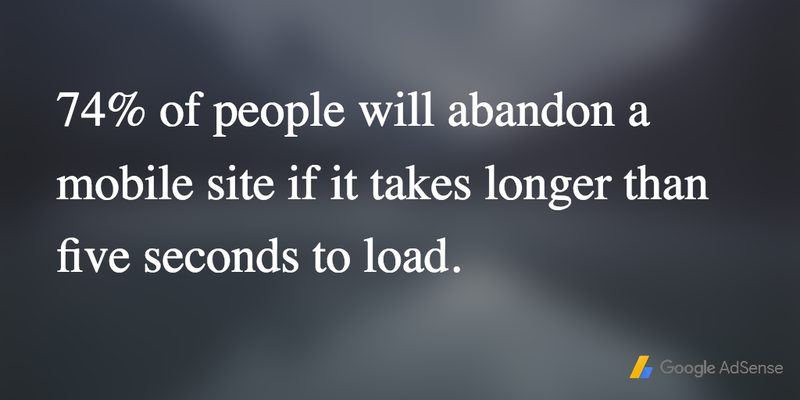 On average, 74% of people will abandon a mobile site if it takes longer than five seconds to load, yet the average mobile page on the web still takes 6 to 10 seconds to load, according to Kinsta. Every one-second delay in page load decreases customer satisfaction by 16% and page views by 11%, according to Aberdeen Group Research. Render blocking resources - There’s too much external JS/CSS that needs to be loaded before the user can see anything. Load only what's absolutely needed to serve the user's query. Async everything where possible. Browser caching - Keep resources that your page depends on on your device for as long as possible. Optimize images - Don't send large images meant for desktop to your phone. Also use image compression tech in your CMS, which can mean up to 90% data savings. The ideal load time for a mobile site is one second. To avoid frustrating users with slow pages, optimize your critical rendering path to unblock rendering, and enable progressive rendering to do its work in the background. A fast site leads to easier discovery, better user retention and more and longer site visits. We hope that these recommendations will move you closer to your page speed goal and give all of your users a smooth and enjoyable experience. Be sure to follow us on Twitter and Google+ to engage in our conversation around the #MobileWeb and help our users #SeetheFullPicture on mobile phones. Using the Internet on mobile phones is now the standard. 60% of Internet users access the Internet through their phones, 94% of American smartphone users search for local information on their phones, and 77% of mobile searches occur at places where desktop computers are available (according to the eMarketer Global Mobile Landscape 2015 report).